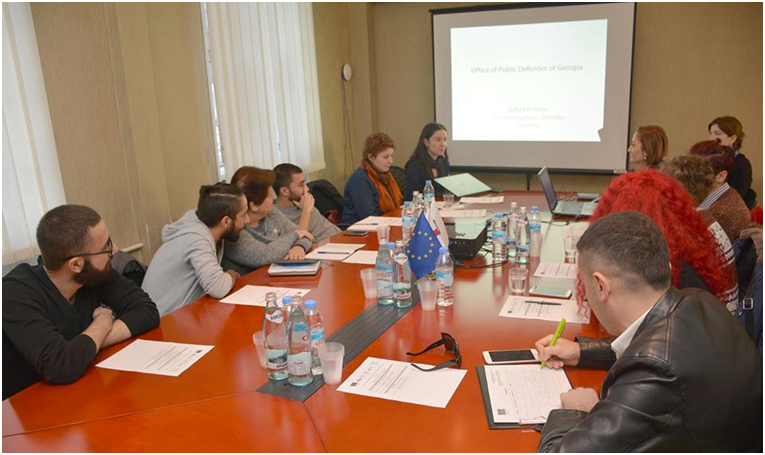 The participants of the study tour were selected from among those participating in capacity building trainings for CSOs, LGBTI organizations, activists and initiative groups conducted by PINK Armenia and Society Without Violence. During the three-day tour, which was held within the framework of the EU-funded initiative Solidarity Network for LGBTI in Armenia and Georgia, the Armenian stakeholders met with the implementing partners of the project in Georgia, the Women’s Initiatives Supporting Group (WISG) and the Human Rights Education and Monitoring Center (EMC), who shared their experiences working in the field, including work on hate crime monitoring, labor rights, drug policy, ethnic minority rights, LGBTI rights, academic policy paper work, working directly with and supporting the community, LBT women’s empowerment, lobbying, advocacy, community mobilization, research work and publications, shadow reporting, legal assistance and strategic litigation. The current situation in terms of LGBT rights in the country was also discussed, including the recent initiative on constitutional amendments to introduce a gender-specific definition of marriage in Georgia, the politicization of LGBT issues, especially in the pre-election period. The participants of the tour also took part in a joint experience-sharing session, where they discussed cross-cutting issues and drew parallels between similar situations in the two countries. Topics covered included major achievements related to LGBTI rights in each country over the last 10-15 years and current priority challenges, the level of LGBTI community engagement in activism, and the most frequently applied strategies to influence the media and public opinion. 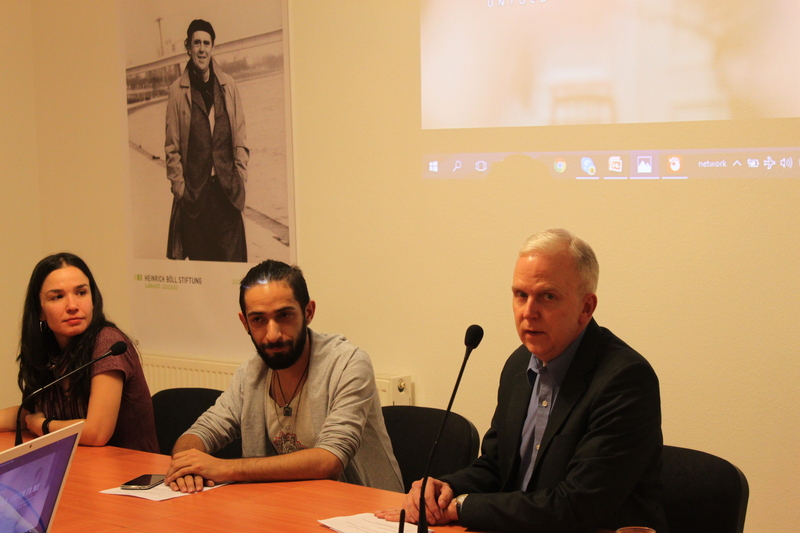 Within the frameworks of the tour, the screening of the documentary film Listen to Me: Untold Stories Beyond Hatred produced by PINK Armenia with financial support of the US Embassy in Yerevan was also held. Opening remarks were delivered by the USAID Program and Project Support Office Director and LGBT Liaison, Mr. Mark Mitchell. 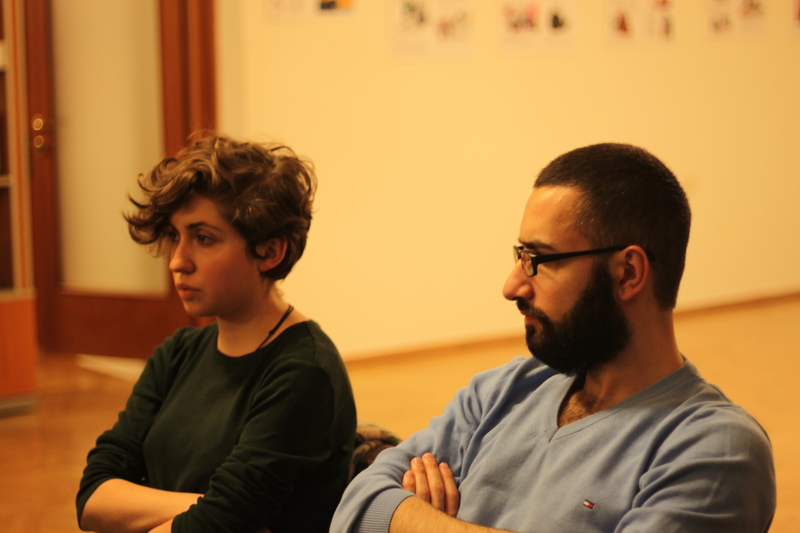 The screening was followed by a thematic discussion led by Anne Nemsitsveridze-Daniels, EU Project Coordinator, together with Armen Aghajanov, Project Coordinator with PINK and one of the main characters of the film, and Lika Jalagania, Project Coordinator with EMC. The tour also included a comprehensive session with representatives of the Public Defender’s Office of Georgia, including First Deputy Public Defender, Natia Katsitadze, who introduced the mandate of the Public Defender, the history of the institution, the tenure of the current Public Defender, and the various functions of the Office. Ketevan Shubashvili, Head of the Department of Equality, expounded on the Georgian anti-discrimination legislation and hate crimes, reviewed several case studies and referred to the proposed amendments to the anti-discrimination law. Nika Kvaratskhelia, Head of the Department of Prevention and Monitoring, spoke about the mandate of the National Preventive Mechanism of Georgia under the PDO, including regular monitoring visits to closed institutions. Ann Lobzhanidze from the Gender Equality Department of the PDO delivered a presentation about the history and mandate of the Gender Equality Department, key achievements (National Human Rights Strategy and Action Plan, Internal Response Mechanisms against sexual harassment in the workplace, and trainings on Gender Equality issues for PDO staff), and principal areas of work for the Department, including, for instance, gender sensitive reporting trainings, as well as special reports, UPR/CEDAW recommendations and contributions. Ultimately, Tatuli Todua of the Department of the Protection of Civil, Political, Economic, Social and Cultural Rights spoke about progressive legislation in Georgia in terms of the protection of freedom of manifestation and assembly, referring to the infamous large-scale violence that erupted as a result of an attempt to celebrate IDAHOT in 2013. As a concluding segment of the capacity-building tour, the participants met with representatives of LGBT Georgia, a local community-based organization, and the Center for Information and Counseling on Reproductive Health – Tanadgoma. They were introduced to the history of the activist and LGBT movement in Georgia, the recently initiated queer event series, HORŌŌM, organized in cooperation with the local venue Bassiani, which aims to establish a safe space outside of the NGO framework and promote community-building, Tanadgoma’s work on sexual and reproductive human rights, HIV/AIDS and other STI prevention and management, as well as work with the MSM population and persons living with HIV, psychological counseling services, community mobilization and empowerment, and also in the regions of Georgia, outreach and educational activities, including awareness-raising to promote risk reduction, peer education trainings, distribution of materials and information on STI prevention and testing, and using social media platforms to conduct outreach work in the community. 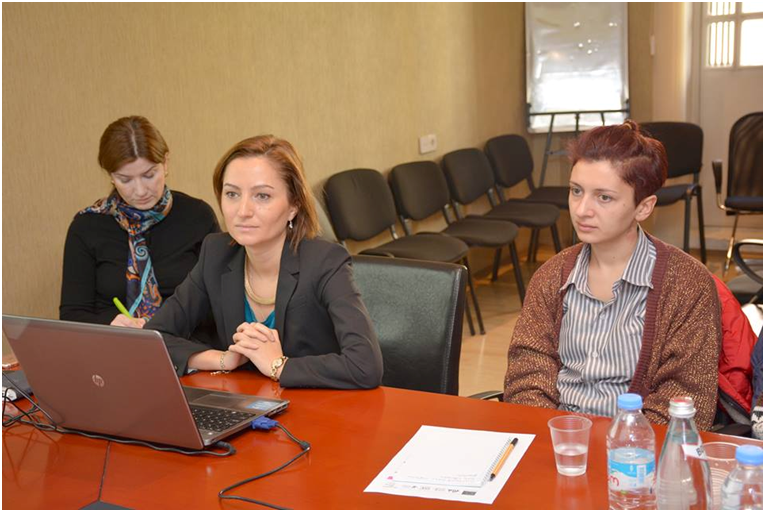 The Armenian partners also shared information on STI prevention and MSM in Armenia. Before departing, the participants of the tour shared their thoughts and ideas about the visit. The participants will be able to apply the information gained during the visit, as well as the skills acquired as a result of the capacity building trainings in the follow-up small and micro grants components planned within the scope of the EU project.